Just as onion prices have gone sky high, so have the price of garlands that South Indian women wear in their hair or drape around the necks of idols or pictures of gods (or place on the pillows of their Western guests). 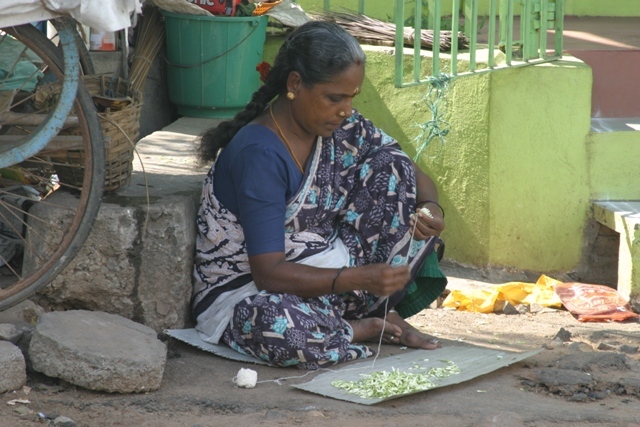 Women sit on the ground or on makeshift tables and make garlands from morning to evening in long strands that they then break into different lengths depending on customer desires. The garlands are sold by the “arm” – that is, the length from the tips of your fingers to your elbow. 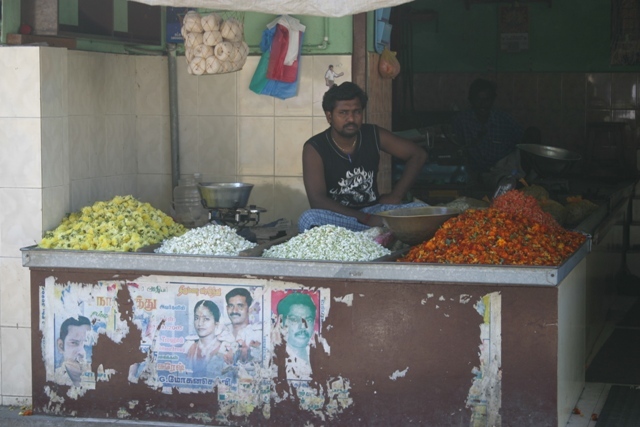 An “arm” of sweet-smelling jasmine used to cost Rs. 5 to 10 two years ago. Now, they are Rs. 15 to 20, depending on the season. 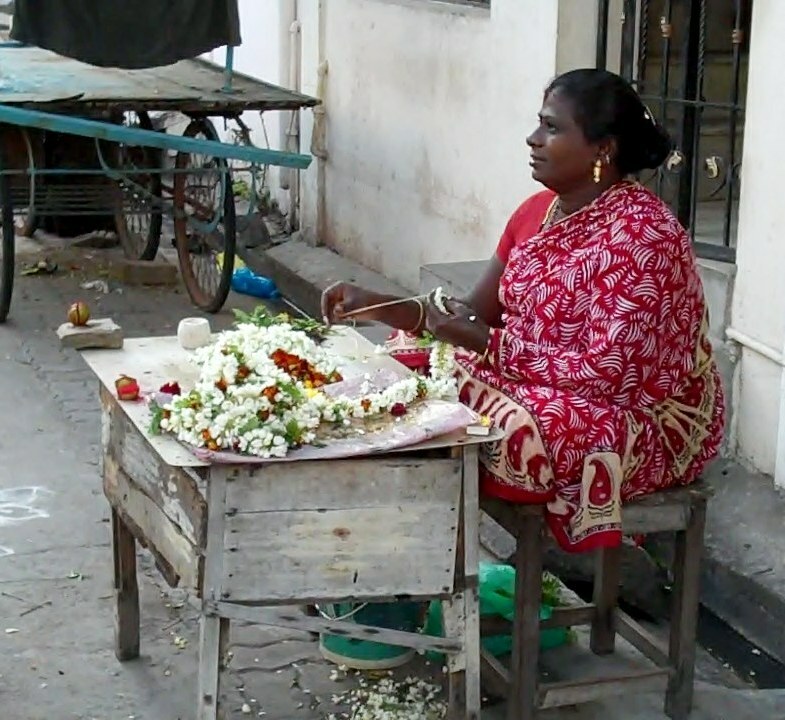 The video below is a short clip of the garland maker pictured in the red sari on Rue Francois Martin in Kuruchikuppam, Pondicherry.